I’m home and looking back fondly on our most recent vacation. Strolls down memory lane are comforting just so long as your memories are enhanced by the development of your favourite places. 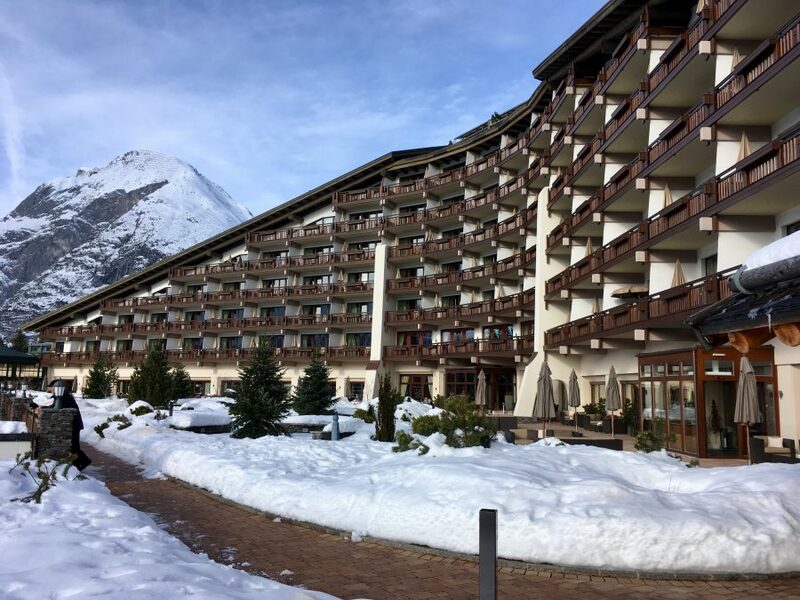 We’ve enjoyed many vacations, summer and winter, in Seefeld, most spent at the InterAlpen Hotel, Tirol, about which I’ve already written. 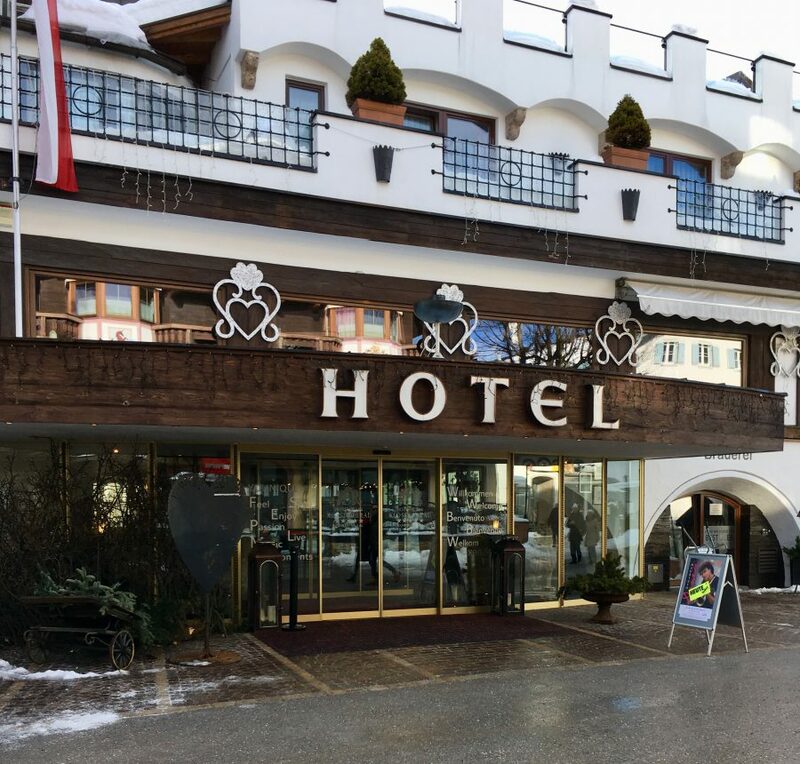 However, we’ve also stayed at another 5* star hotel in the centre of Seefeld and spent time at a number of other establishments. We’ve tended only to spend week-ends here while passing through the area. Its biggest advantage is its central position in the town. As its name suggests, it was a former monastery dating from the 16th century which brewed beer. The hotel’s been in the hands of the same family since the early 19th century and it still brews beer which my beloved feels is some of the best he’s ever drunk. Now, he’s no expert, but that’s still quite a ringing endorsement. I prefer to highlight its excellent restaurant which easily caters for my regime and where we ate a number of times, including for my birthday, on our most recent trip. The hotel has a lively atmosphere and its décor is a wonderful and carefully curated mix of old and new. As is expected, it has all the usual bells and whistles, including a lovely spa, to justify its classification. On the downside, it’s a much smaller hotel than the InterAlpen and can be quite noisy. After a day’s activity, there’s nothing nicer than a coffee and cake at this establishment. The café was formerly separate from the hotel but when it was recently enlarged and updated, the café was subsumed within the hotel to give it a larger dining room. The café lives on in the bar and lounge area of the hotel and still, again according to my beloved, serves the best apple struedel in the area. We enjoyed many a coffee, hot chocolate and gluehwein here while my beloved tasted many of its home-made desserts. 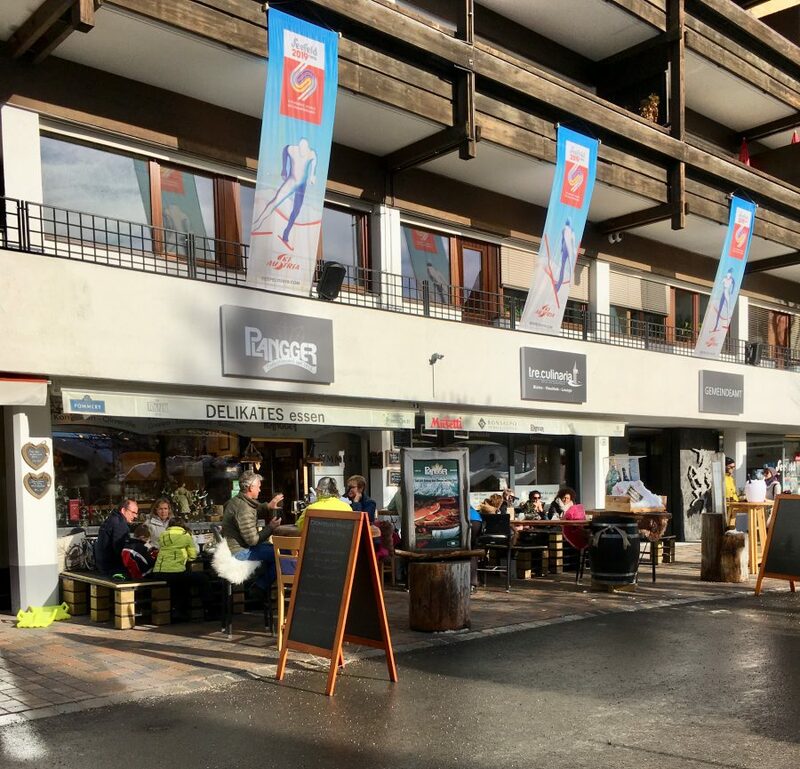 The hotel overlooks the start of the cross-country trails and has built a large terrace and bar to benefit from its sunny position. Again, it’s another though more recent favourite pit-stop for coffee or Aperol spritz. It also has a menu with a number of dishes which I can eat, including oysters. However, you need to either reserve a table or arrive early to bag one in the sunshine. In fact any place that has a terrace in the sunshine attracts punters in their droves. In the parade of shops opposite the Klosterbrau, the delicatessen has outside seating, in the sunshine, which is always busy. 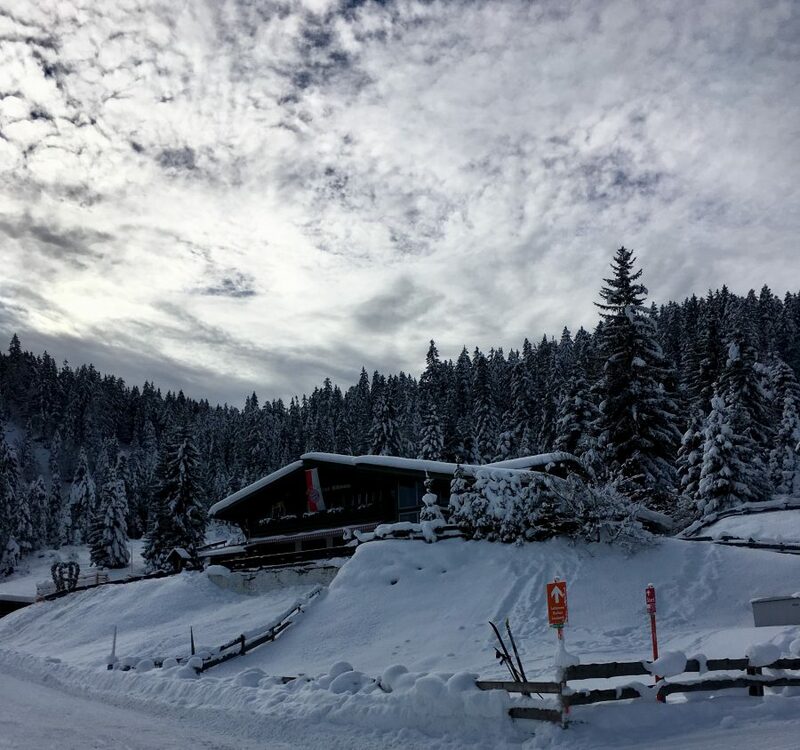 This is a small, local run restaurant just down the road from the InterAlpen. It’s popular with locals and has long been one of our favourite pit-stops for a drink on its sunny terrace or self-service lunch inside. 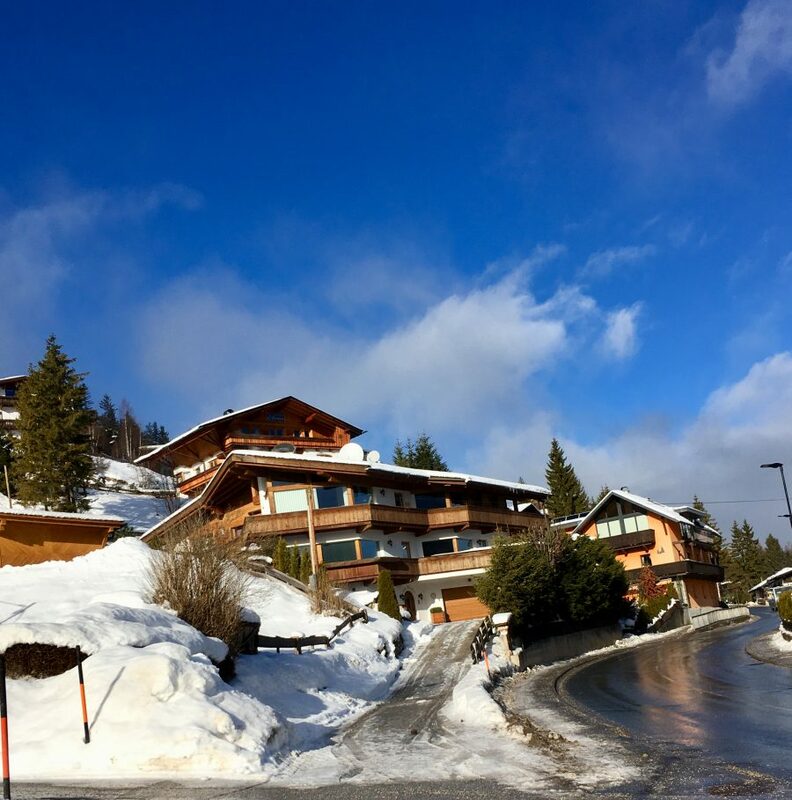 It’s close to the (in)famous Wildmoos Alm which is a veritable gold mine, heaving with locals and tourists who have walked, driven, caught the bus, hotel shuttle or a horse driven carriage to enjoy its lively atmosphere and colourful mein host. We always pop in for a drink but prefer to eat at the Ferienheim which serves better food at half the price. 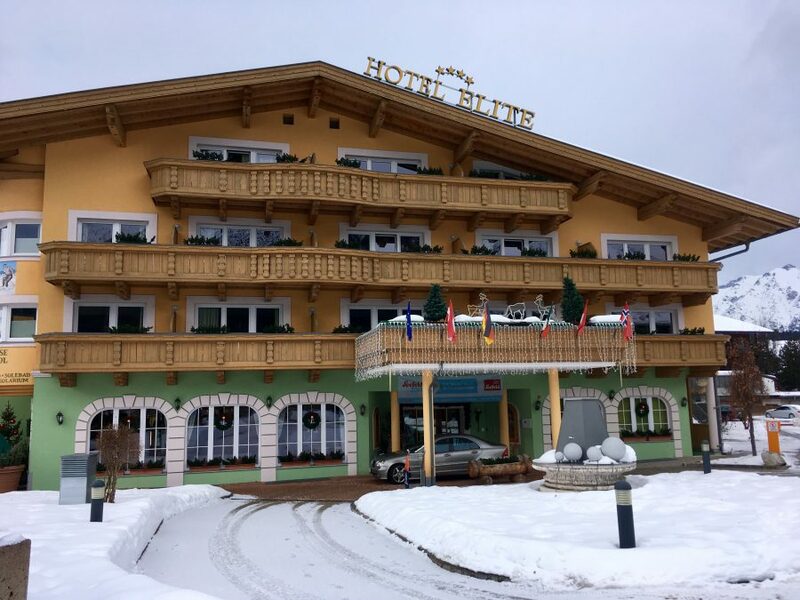 Seefeld is just over the border from Germany and we typically will spend a morning in the southern Bavarian town which boasts many prettily painted properties from prior centuries. Over the years, the town has not changed much apart from losing its major sports shop to yet another restaurant. An hour and a half down the motorway is the Bavarian town of Munich, a big favourite of mine which sadly I’ve not visited for the past few years or so. Its Christkindlmarkt (Christmas market), one of the largest and most well-known in Germany, dates back to those first held the 14th century and only moved to its current home in 1972. However, for me its main attraction is the fully decked out 30 metre Christmas tree and the scent of mulled wine (Gluehwein). The market covers 20,000 square metres with the booths and craft stalls from numerous vendors stretching out from Marienplatz to the tower of the old town hall (Altes Rathaus), its inner courtyard (Prunkhof), along Kaufingerstraße and Neuhauserstraße to the Richard-Strauss-Brunnen and from Weinstraße to the Sternenplatzl at Rindermarkt. The market isn’t Munich’s only attraction, as you can see from my photographs. It has much to recommend it all year round with plenty of cultural attractions aside from its shops and restaurants. Another old town worthy of a visit and we’ll be back here again in September for the UCI Road World Championships. Nonetheless, we had an enjoyable potter about with a pit-stop for coffee followed by lunch, followed by a spot of food shopping in one of its indoor markets. It would be rude not to mention our holiday home, situated almost in the centre of town, close to all the action. It’s four identical 100 sq m, two-bed, two bath, apartments within a newish building (built 2007-8) with panoramic views. It’s well kitted out and even has English television thanks to its roof top satellite. You’ll have spotted the key attraction for us. The two bathroom means I don’t have to share with my beloved – always a bonus – and he can use the second bedroom as a dressing room. Hence I don’t have to share closet space either – perfect! We first stayed here back in 2oo9 during the summer so knew what to expect and it didn’t disappoint.